A mobile first website, designed using CSS Grid and Flex. 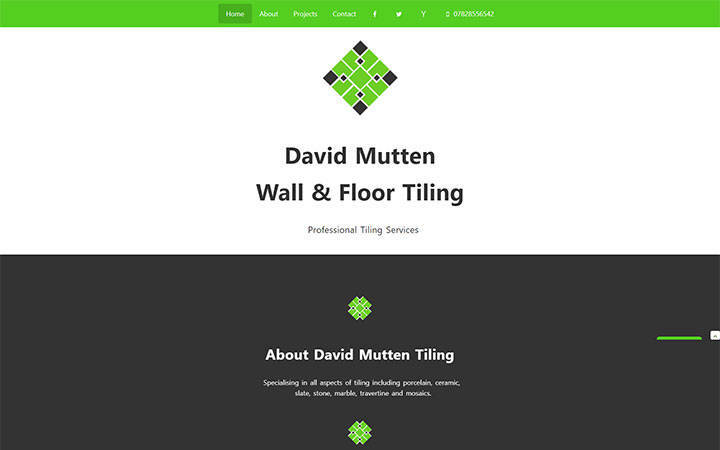 The finished website uses Perch CMS complete with a Twitter feed, an anti-spam honeypot feature on the contact page and a Projects page showcasing some of Davids fantastic tiling. Using Perch CMS allows David to easily add, delete or re-order new projects as he completes them, he can add photos and add text to describe the details of the project .